Deadbolts have long been considered to be the strongest physical barrier to home intrusion, but Haven moves the securing spot to a place much more stable: the base of the door frame. 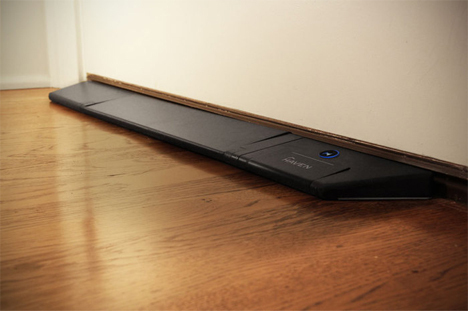 It’s both a traditional physical barrier and a connected smart device, allowing users total control with an app. The metal smart lock looks like a wedge the anchors at the base of the door. When it’s unlocked, it bears a low enough profile that the door can swing right over it. When you lock it, a motorized accordion lift gate pushes the middle portion of the device up, forming a strong physical barrier that makes it impossible – without a stick of dynamite, anyway – to open the door. 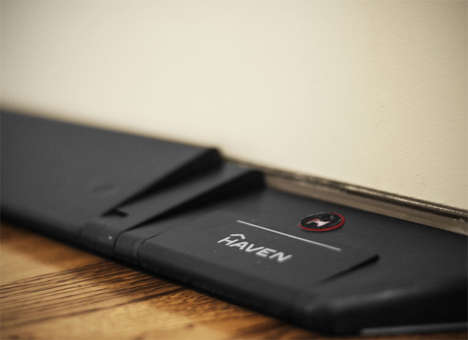 Haven can be operated by a key fob or by a mobile app. It has built-in wi-fi and connects via Bluetooth to an iOS or Android device. Like other smart locks, you can pass out temporary digital keys with set parameters such as the time of day guests are allowed to enter the home. The Haven system integrates with other established home management systems. 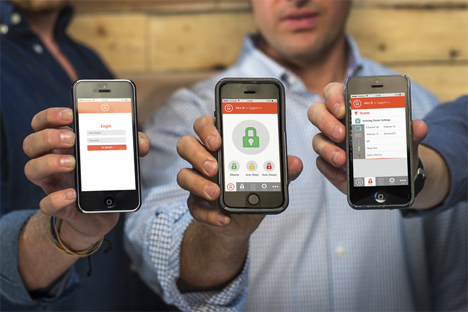 If it detects excessive force being applied to the door – such as an intruder trying to break in – the mobile app will notify you immediately. 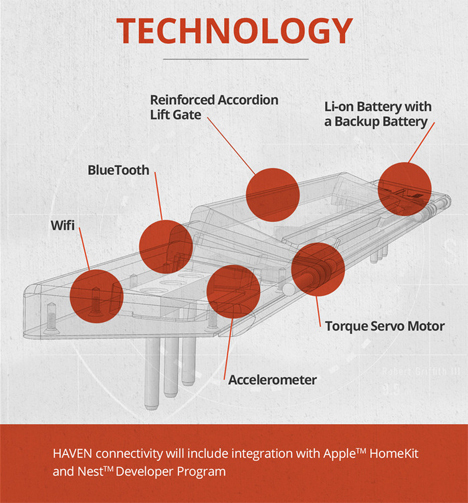 If it is connected to a home management system, the Haven can even trigger other security measures like turning on interior or exterior lights. The lock is powered by a redundant battery system that will keep the lock powered even if one battery runs down. If the power begins to run low, the app sends you notifications until you replace the batteries. 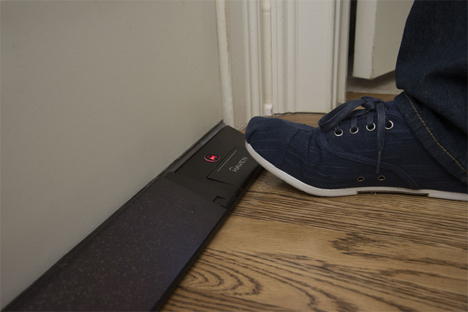 As a precautionary safety measure, an emergency physical footplate lets you lower the liftgate manually by stepping on it.